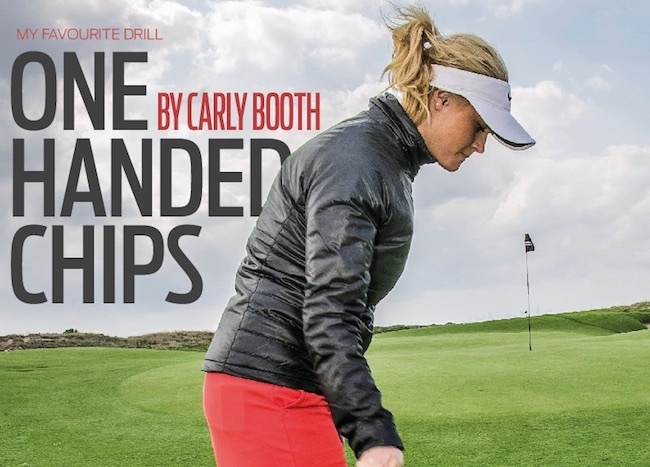 Often over the last few years, one-handed chips has become something a lot of coaches teach and it’s something I’ve been taught, writes Ladies European Tour pro Carly Booth. 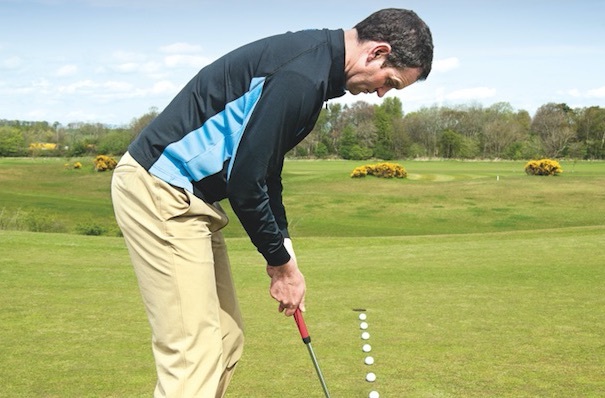 I think it’s a great drill for any standard of player to do and it’s especially great for anyone who struggles with their chipping. I like to start every warm up with a couple of one-handed chips. It makes me focus on my rhythm, keeping my body very still and just turning with the shoulders. 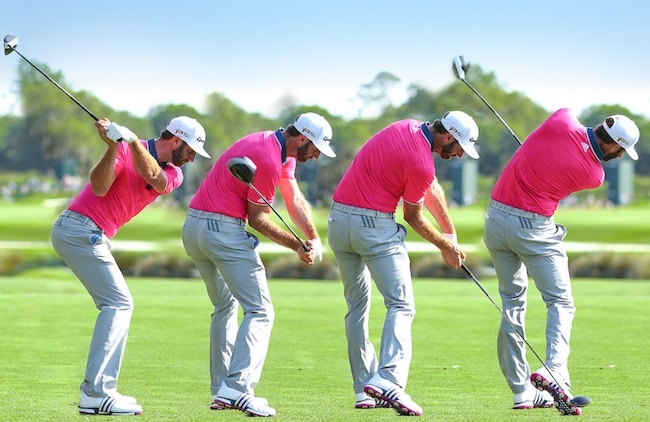 These are important aspects for me and my swing, keeping everything together and compact. I’m really just focusing on the strike because, to hit the perfect strike, your rhythm and flow need to be correct. All I’m really doing is turning my upper body a little and getting my weight centered slightly in the left hip. I also keep a slow takeaway. I’m not trying to dig into the turf. I’m just trying to use the bounce of the club and take a clean strike. I’m not wanting my lower body to move; just focusing on keeping my height and head still. It’s important for me not to use my wrists either. 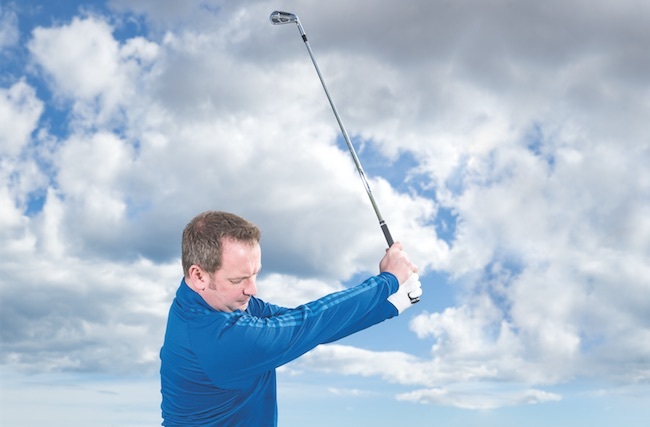 Less wrists gives you more accurate distance control. I really just use this drill to get into a good rhythm. My tendencies are to get too quick and I’d say that’s the same for a lot of amateurs. I do one-handed practice swings even when I’m out on the course. This helps me get a good feel for the speed and rhythm needed to play the best shot I can. Being as relaxed as possible is the key to playing golf – no tension, just a smooth, flowing feeling. It’s not as easy as said, I certainly am one to know, but it’s something I work on. Feel good, play good – that’s the motto. Carly Booth is a tour pro Ladies European Tour. Follow her on Twitter @CarlyBooth92. Originally published on bunkered on December 8, 2016.